Welcome James T’s and his cherry red, cherry sweet Carbolite confection: 1986ish Peugeot P8. My name is James T. This is my Peugeot P8 (1986 I think). It’s all original with Carbolite frame and Weinmann brakes. I found it on Craigslist (Columbus Ohio) and bought it from a guy with a garage full of old bikes. That’s really nice. Looks almost brand-new! 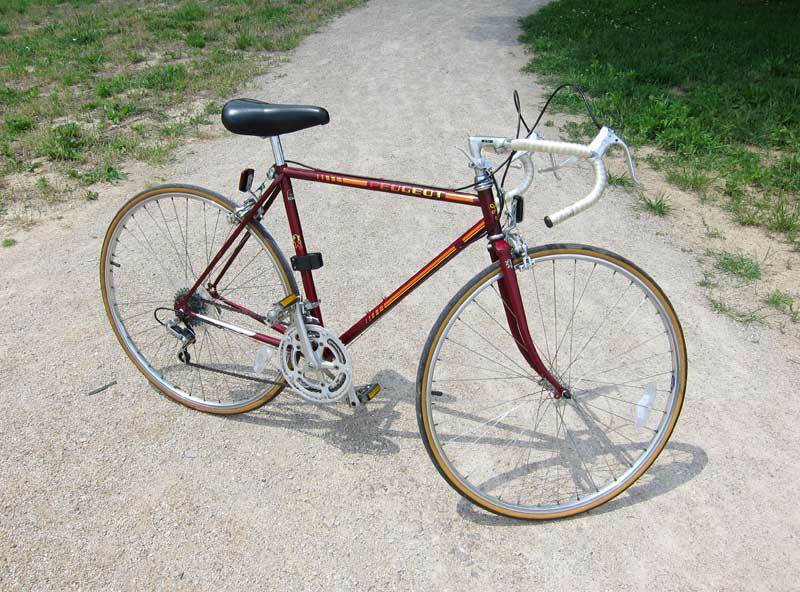 These are awesome bikes, I just bought one at a garage sale and tuned it up and a friend is buying it from me. Yup, I also have the exact bike and in great shape. This is actually from 1985 I believe. I did a double take, thinking that I did not remember sending a picture of mine to OTS! Those old Maillard Helicomatic hubs and freewheels weren’t so bad, even if they are a little quirky.